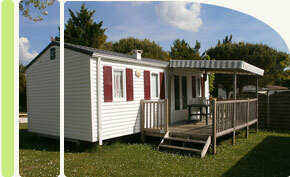 Our mobil home is defined for a maximum of 6 persons. 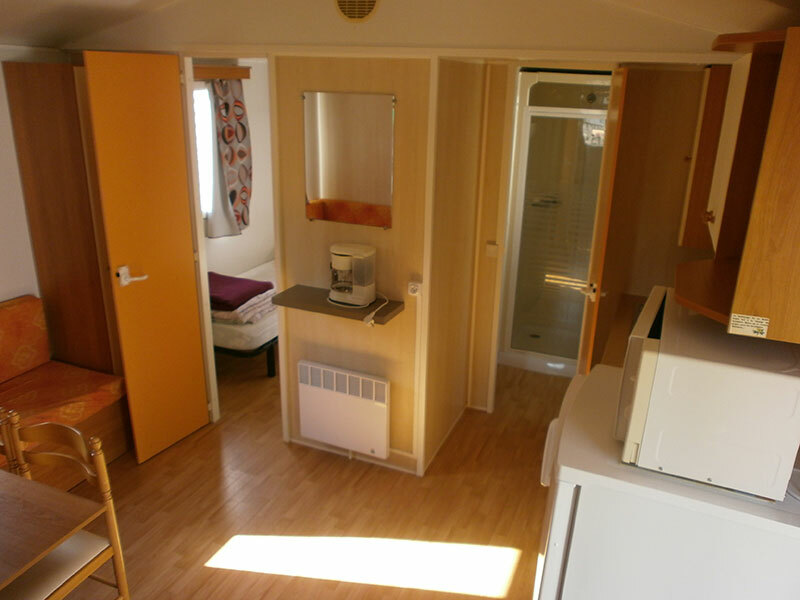 Our mobil home 4/6 places are equiped of semi-covered terrace on locations of 120 m², you will find inside : 2 bedrooms, 1 lounge with sofa, 1 equiped kitchen, 1 shower with sink and separate toilet. 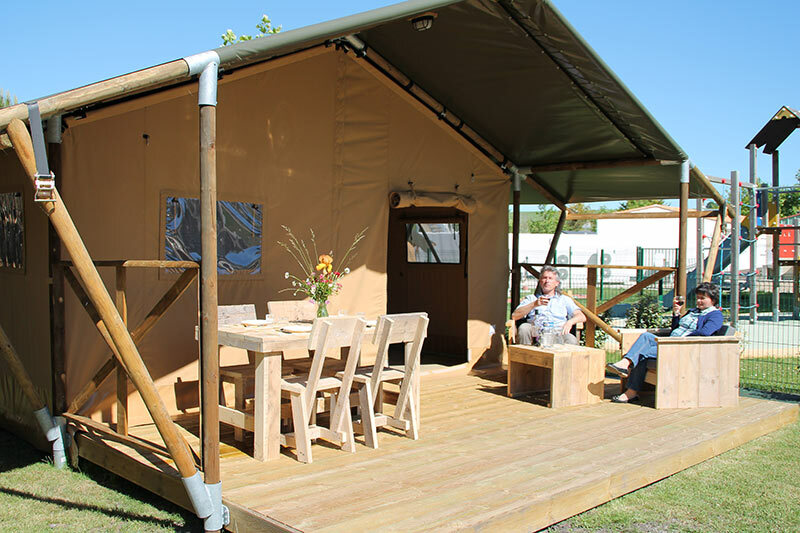 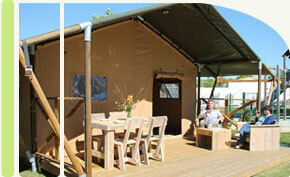 Our ECOLODGE tent is defined for a maximum of 4 persons. 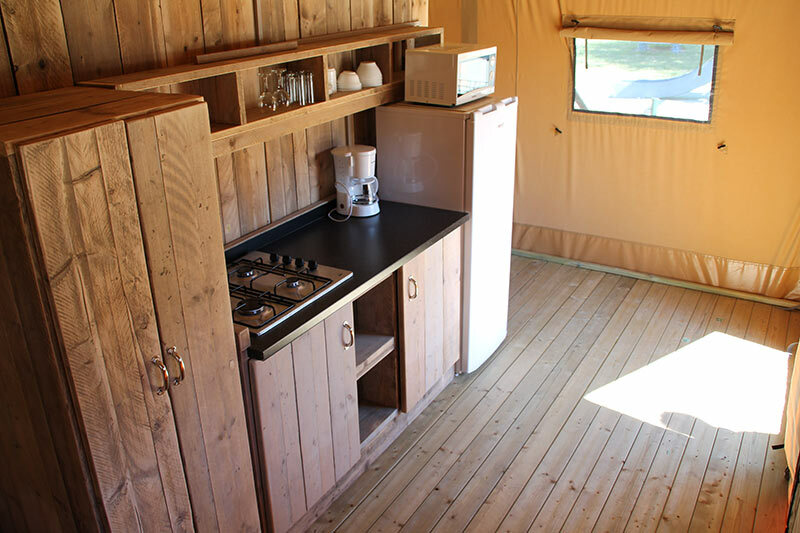 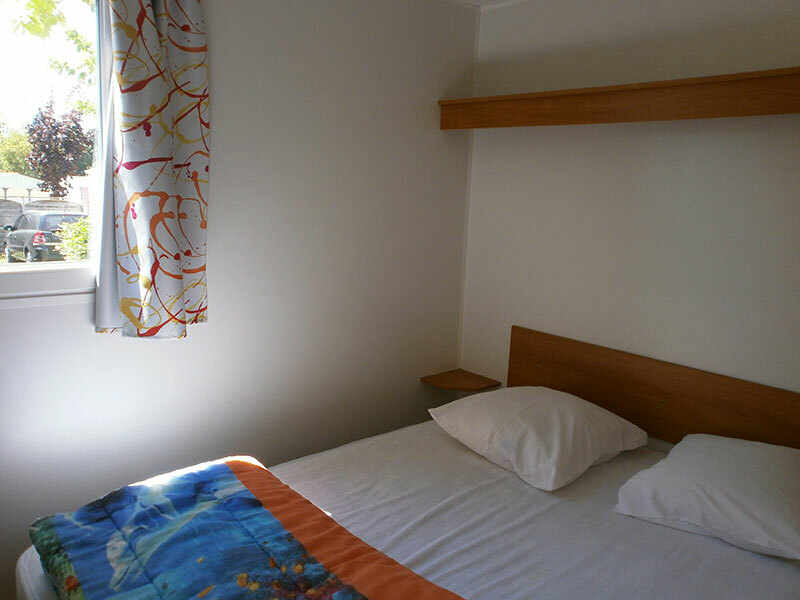 Our ECOLODGE 4 places are equiped with proch roof on locations of 100 m², you will find 2 bedrooms : one width two place bed and another wich two simple beds, 2 places, 1 fridge, 1 gas. 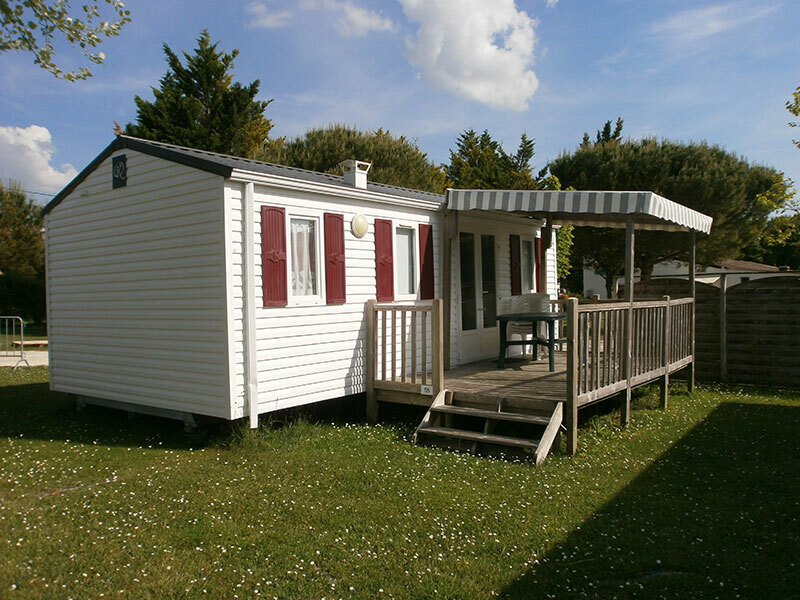 Rental of mobile home refers to a maximum of 6 people + 1 car. 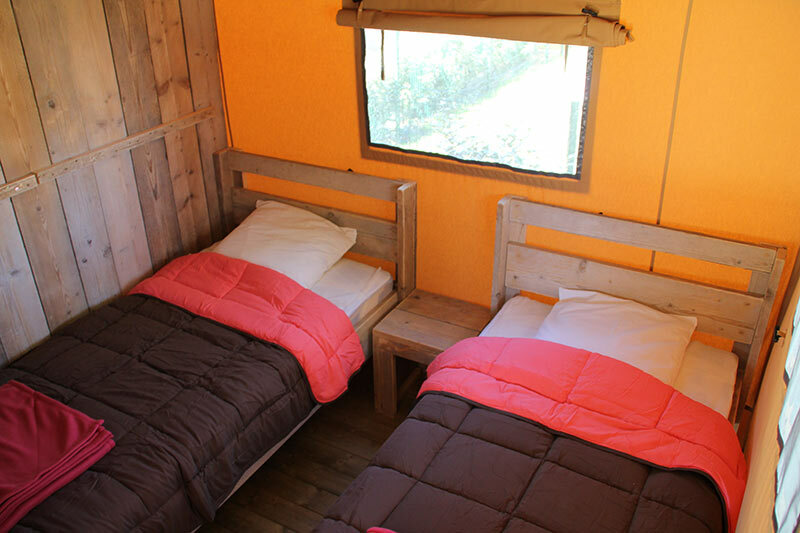 Rental of EcoLodge means a maximum of 4 people + 1 car.